Soccer star Wayne Rooney enjoyed a family day out at Blue Planet Aquarium with sons Kai and Klay and wife Colleen. The visit by the Manchester United and England legend was a welcome surprise for visitors to the Cheshire Oaks attraction. The 29-year-old, who celebrated his 100th England cap in November, also took time out to pose for photographs and sign autographs. Even the aquarium’s giant clownfish costume character managed to get in on the act. 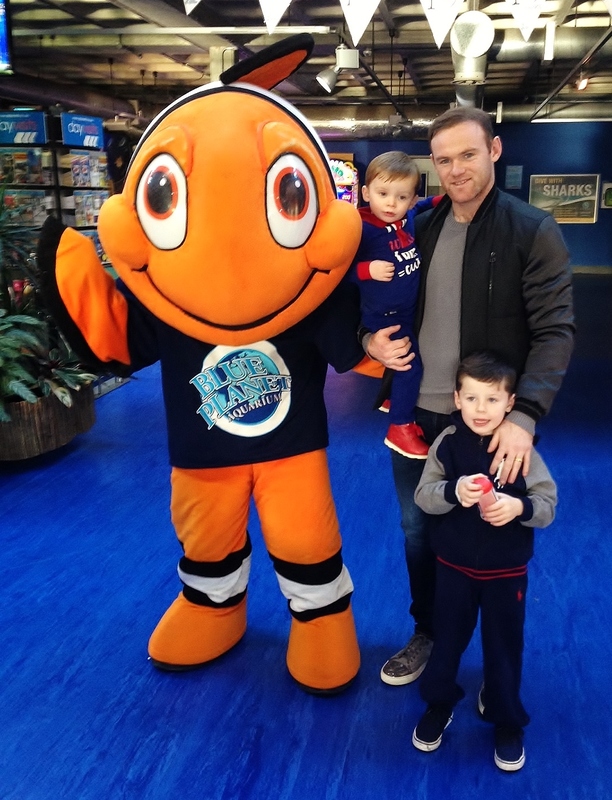 Blue Planet Aquarium’s Phil Jones said: “The whole family seemed to have a really good time and Wayne was more than happy to chat to staff and visitors. “It was a surprise visit for us and Charlie the Clownfish couldn’t resist the chance to get a picture with the England ace,” he added. Recently the aquarium also played host to Manchester City and Spain star David Silva.